The holiday season can be extremely lonely and difficult for many parents with a baby in the NICU. 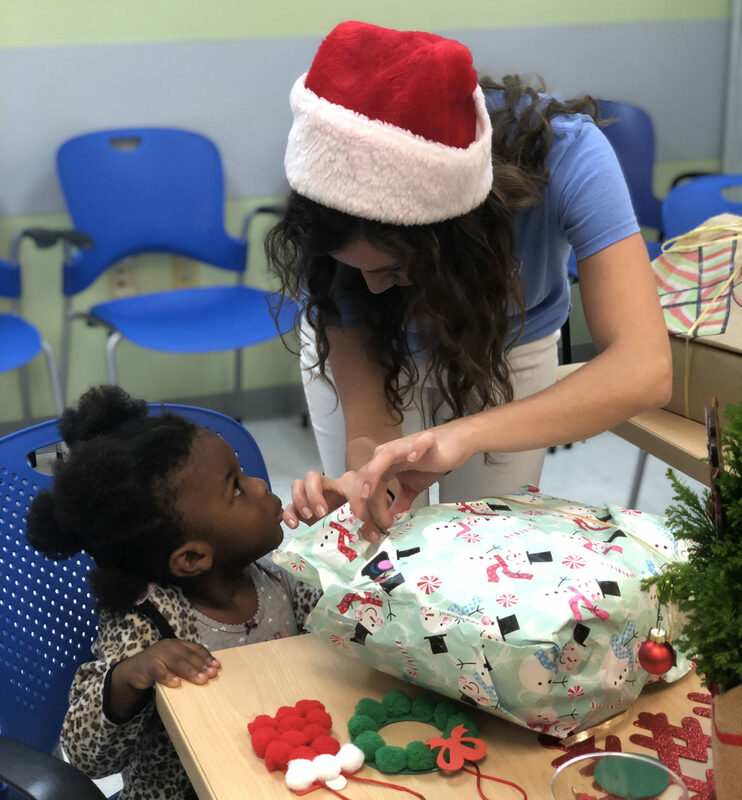 The Miami community came together to bring some cheer to NICU families at Holtz Children’s Hospital and South Miami Hospital. Our December Suppers of Support were extra special holiday celebrations thanks to a private donor who provided beautiful flower arrangements, Baby Cottons which donated baby gifts for the NICU babies and McGlannan School which provided toys for all the babies’ siblings. McGlannan families collected over a 100 toys and gathered to wrap and decorate each one in a special way. NICU families enjoyed a delicious meal, shared stories of their NICU babies and watched the siblings do arts and crafts and unwrap their new toys! Moms also left with a personal gift and an outfit for their new baby. Thank you to our local “Secret Santas” for their generosity.